The Vatican Museums - generally acknowledged to be one of the best collections of art in the world - are usually closed to the public at night. On our Vatican Night Tour you’ll have the opportunity to discover Greek statues, The Sistin Chapel and Renaissance masterpieces after dark, visiting the Vatican Museums with an expert guide. When night falls the atmosphere of the Vatican Museums is transformed. On your Raphael Rooms and Sistine Chapel tour, you’ll marvel at the timeless beauty of these grand galleries. You’ll walk through vast, frescoed chambers and hallways lined with some of the most famous statues from antiquity, enjoying the enchanted atmosphere which can only be experienced in the calm of the evening. The splendour of the Vatican never ceases to amaze, but your visit will be further enriched by the explanations of your personal guide. Our Vatican tour is a journey through centuries of art, history and culture, where you’ll see works by Michelangelo, Raphael, and Bernini, and discover what inspired these great artists. As well as learning about their lives and passions, you’ll also gain a more in-depth understanding of the times in which they lived. To truly appreciate the masterpieces of the Renaissance, we need to know something of the politics and religion of the time. 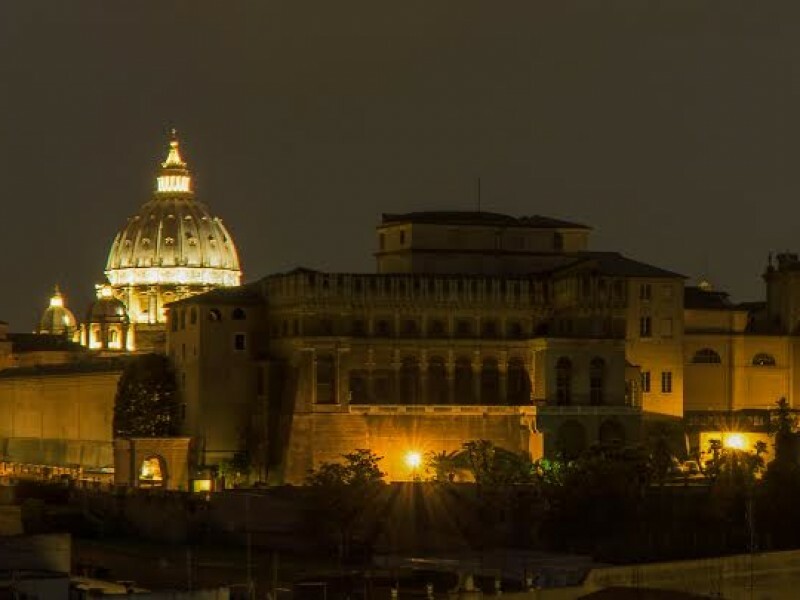 Our night tour of the Vatican in the company of a knowledgeable guide is the perfect opportunity to learn, gaining a new perspective on some of the most famous artworks of all time, while savouring the breathtaking beauty of the galleries. Our Vatican Museums night tour is carefully planned to optimize your time, showing you highlights such as the Sistine Chapel & Raphael Rooms as well as some of the hidden treasures of the Belvedere Courtyard, The Gallery of the Maps and the Gallery of the Tapestries. The Vatican is renowned throughout the world for its astonishing collection of Greek and Roman art. 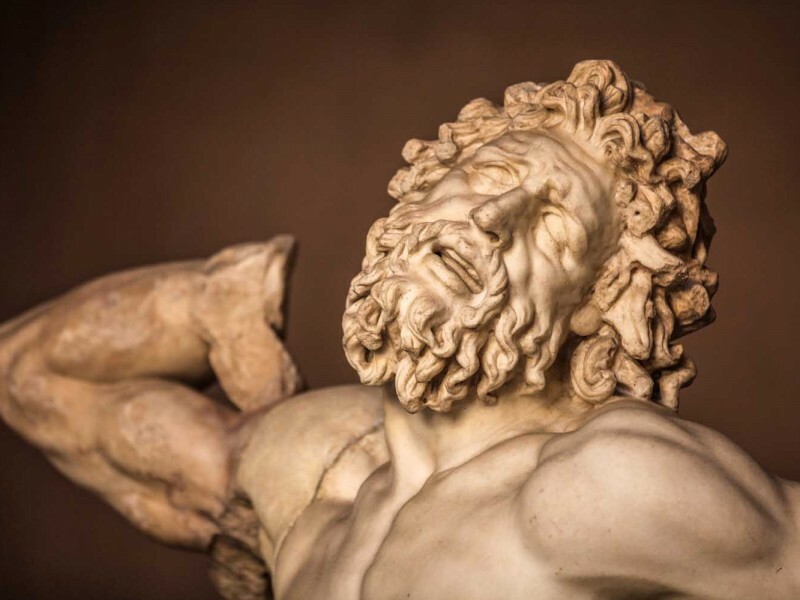 A Renaissance enthusiasm for classical artwork led to the rediscovery and display of great works such as the Laocoon - a moving depiction of the struggle of a doomed family - and the aesthetic perfection of the Apollo Belvedere. 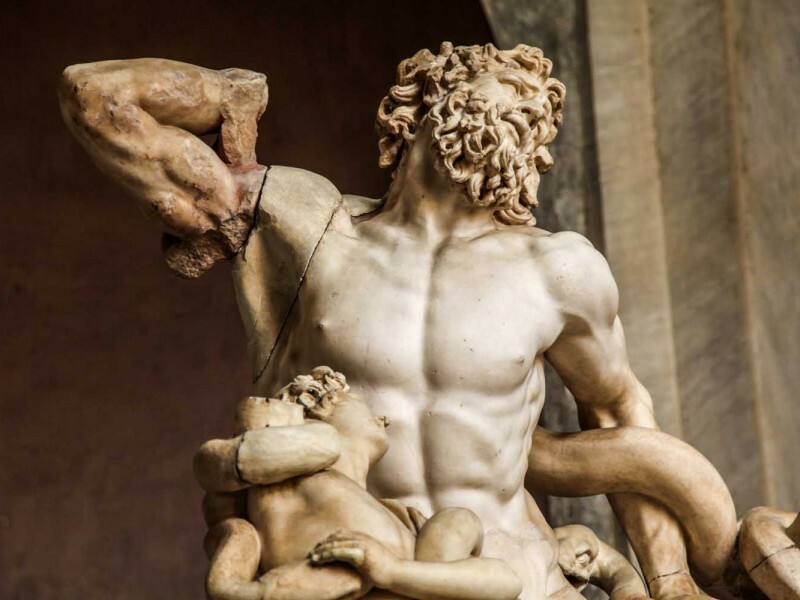 Discover the stories and the secrets of these magnificent sculptures on your private Vatican tour, exploring the Courtyard of the Pinecone, the Belvedere Courtyard, the Gallery of the Candelabra, and many other famous parts of the Vatican Museums. Follow in the footsteps of Renaissance artists, our Vatican night tour deals with all of these subjects important for the generations of great writers and thinkers who have been inspired by the masterpieces of antiquity. These sculptures had a profound impact on the art and philosophy of the Renaissance, and would have been discussed by artists, courtesans, philosophers and cardinals, forming part of the new visions of the Renaissance. On your intimate tour of the Vatican at night you will also admire the sarcophagi of Helen and Costanza, the mother and daughter of the emperor Constantine. These red porphyry sarcophagi offer an intriguing glimpse of the dawn of Christian art. Further splendour awaits you in the Hall of Maps and the Gallery of Tapestries, which offer a key to understanding European history. An undisputed highlight of the tour is undoubtedly a walk through the Raphael Rooms. 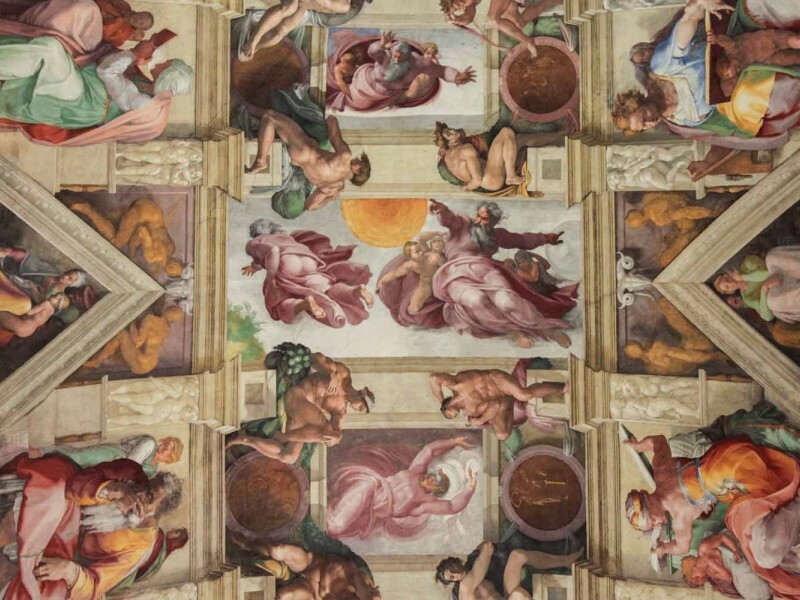 Stunning frescoes by Raphael decorate the walls and ceilings of the most luxurious rooms in the papal apartments, including the famous School of Athens. This impressive fresco not only demonstrates Raphael’s supreme talent, but also offers a fascinating insight into the art and philosophy of the Renaissance. Your personal guide will point out portraits of some of the leading artists of the day, including Raphael’s own self-portrait. Your journey through the Raphael Rooms takes you to the Sistine Chapel tour. Seeing Michelangelo’s awe-inspiring frescoes with your own eyes is an unforgettable experience, and the experience will be enriched even further by the explanations of your guide. Learn about the remarkable life and work of Michelangelo, one of the greatest artists of all time, while studying the rich detail of the most famous ceiling in the world. 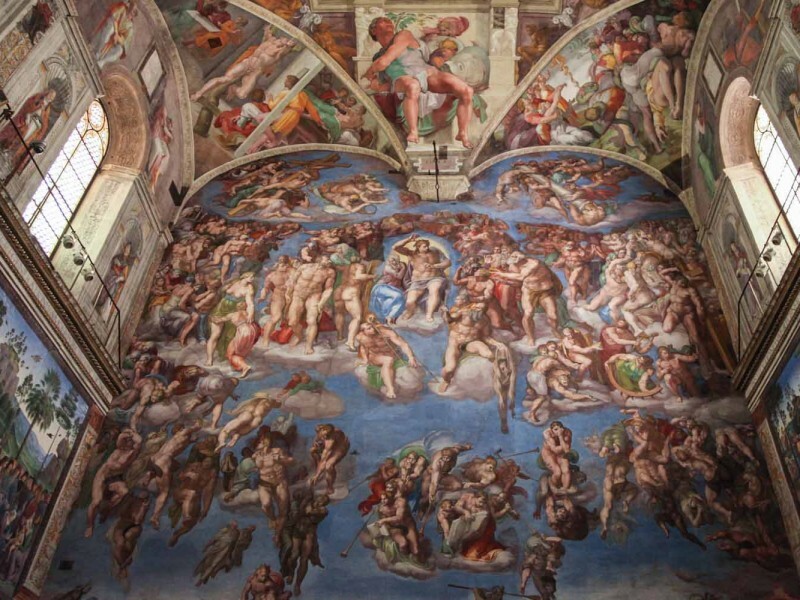 On your private tour of the Sistine Chapel you’ll have the opportunity to admire the paintings up close, and hear the story behind the Last Judgement. This vast painting on the altar wall was surprisingly controversial when it was first revealed, for reasons you’ll discover on your private tour. With the help of your knowlegeble guide, you’ll separate fact from fiction and learn the truth about Michelangelo’s masterpiece. The Vatican Museums form part of the papal palaces, occupying a vast number of rooms in the grand buildings next to St Peter’s Basilica. Many of the masterpieces of the Vatican Museums are displayed according to the wishes of the popes, who helped to create this extraordinary collection of art. The story of the Vatican Museums and St Peter’s Basilica begins with the return of the popes to Rome. After a period of absence that lasted for more than a century, the papal presence returned with Martin V in 1420. Rome had undergone a dramatic decline, with the city’s population decreasing to below 20,000 inhabitants (compared with approximately one million in the 1st century AD). The former splendour of the Eternal City was all but forgotten and ready for a rediscovery of its majestic past as you will learn with your personal and carefully selected guide on our Vatican tour. The Renovatio Urbis (the renovation of the city) was initiated by the Church and some of the most powerful men in Rome. It was one of many changes transforming Europe during the Renaissance, an unprecedented period of history that involved significant developments in all fields of knowledge. This was the era of the invention of the printing press, the creation of the maps that allowed Columbus to reach America, and the development of the techniques that enabled Brunelleschi and Bernini to construct the famous domes of Florence and Rome. 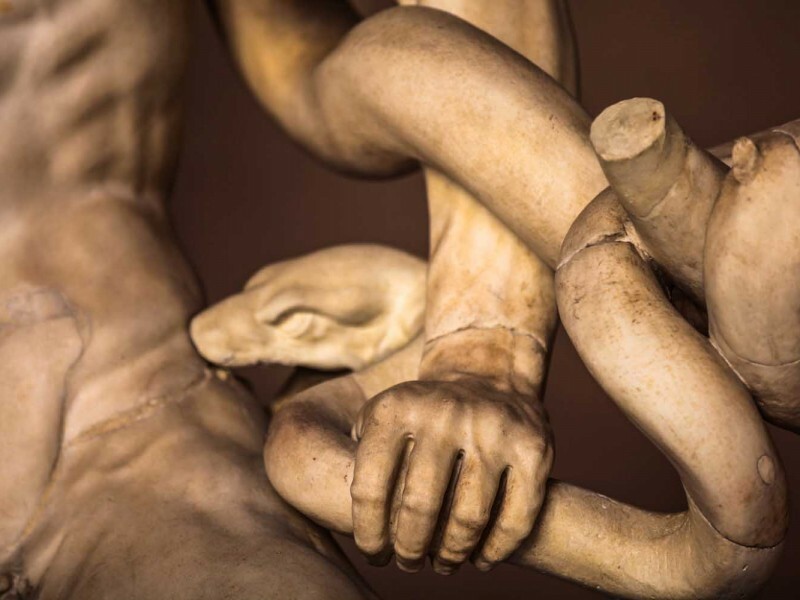 The Renaissance was a time of creativity and discovery that would change the world forever, and on your Vatican private tour you’ll gain a richer understanding of this remarkable era. Ticket and reservation fees with preferential access so you don't wait in line. Expert, fluent English-speaking guides who know and love the collections and masterpieces of the Vatican. Headsets if required for your party, so you can always hear your guide. First we apologize for calling Thomas, Patrick, all night - how that error occurred, we do not know. Regardless, Thomas was such an excellent teacher that his history became alive for all of us. We would highly recommend him as he passed on his extensive knowledge of history in an entertaining and thorough manner. Also a private tour was a most excellent way to experience this venue. Guia was very knowledgeable and entertaining. We all got much more out of our visit than we had dared to hope. Thanks for contacting us. We are working on your request. ATTENTION PLEASE! Check your spam folder if you don't recive our message! Our guides are fluent in English and have a contagious passion for Rome's inspiring cultural heritage. Experts in their fields, they will immerse you in the hidden histories and intriguing lives of history's great protagonists. So much to see, so easy to miss out: with the help of our guides, visit the most absorbing sites and uncover the stories that have changed the world. Don't miss this fascinating journey!